Ad breaks can be annoying, but when it’s the main character of your favorite historical drama promoting the latest smartphone, it can actually ruin the viewer experience. 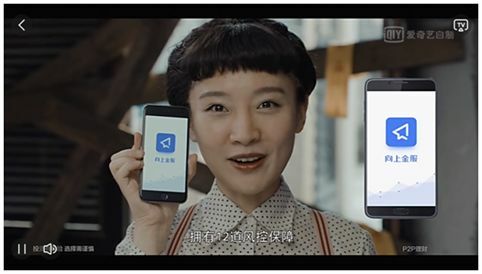 In recent online discussions, China’s ubiquitous ‘Inserted Ad Marketing’ (中插广告), that goes beyond product placement, is being attacked by netizens and media. A 2017 Ad Age article on the high levels of branded content in China’s online TV argues that Chinese viewers generally do not mind embedded marketing. They have allegedly become so used to to all kinds of branded distractions in TV shows, dramas, and films, that it is just “another part of the entertainment” (Doland 2017). But recent discussions on Chinese social media signal that the general sentiments regarding inserted sponsored content are changing. On January 6, Chinese author Ma Boyong (@马伯庸, 4.5 million followers) posted an article on Weibo in which he criticized the phenomenon of inserted ad content in Chinese television series, saying the marketing style often does not suit the characters and is making the actors less credible. Although Ma does not oppose to embedded marketing per se, he argues it hurts the credibility of TV dramas and the viewer’s experience when it does not blend in with the style of the TV drama and its characters. One of the TV dramas where the sponsored segments ‘hurt’ the show, according to Ma, is Mystery of Antiques (古董局中局, 2018) that is based on one of the author’s novels. The actor Qiao Zhenyu (乔振宇), who plays the leading role, allegedly “looks like a fool” because of the inserted ad. The type of advertising, that is central to this recent discussion, goes beyond product placement; it is the type of ad that appears inside (online) TV shows in which the actors, in character, straightforwardly promote a certain brand and product, sometimes in a scene dialogue (‘storyline ads’), but also often while looking directly into the camera (see example here or here, Chinese term: zhōngchā guǎnggào 中插广告). The hashtag ‘Ma Boyong Roasts Inserted Ad Marketing’ (#马伯庸吐槽中插广告#) had received more than 50 million views on Weibo by Sunday night, with the overall majority of people supporting the author’s stance. “Finally someone says this,” one commenter said: “When it just started out, it was new, and I could endure it, but now it just really annoys me.” “It is really disruptive,” others agree. China’s history of TV advertisement is not a long one; it wasn’t until 1979 that China’s first TV commercial was aired. Since then, the industry has blossomed, and branded content has become ubiquitous; the first TV drama incorporating product placement was broadcasted in 1991 (Li 2016). Unsurprisingly, this is not the first time this type of advertising receives criticism. In 2017, various Chinese media, such as People’s Daily, noted the rise of inserted product ads, stating that TV dramas were “shooting themselves in the foot” with these ad campaigns. China’s popular ‘inserted ad breaks’ remind of the weird and obvious product placement mocked in The Truman Show (1998). When the protagonist of a dynastic costume drama suddenly promotes a new smartphone app during an inserted ad break, he falls out of character, and the entire drama loses credibility. Do you remember those weird ad breaks in the famous American movie The Truman Show? Even Truman did not fall for that! 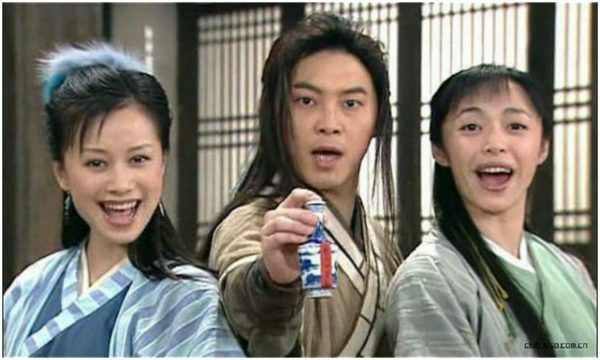 In China, this particular type of advertising can be traced back to the 2006 TV drama My Own Swordsman (武林外传), in which the characters suddenly turn to the camera in promoting a “White Camel Mountain” medicinal powder (watch the famous segment here). 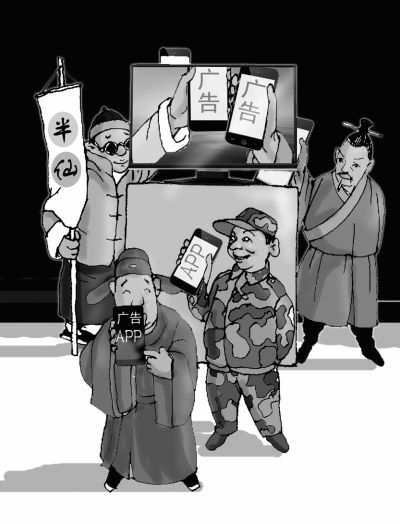 Although that scene was for entertainment purposes only (the product was non-existent), it became reality in 2013, when the TV series Longmen Express (龙门镖局) first started using this kind of ‘creative’ advertising. Many online dramas then followed and started to use these inserted ads, especially since 2015 (Beijing Daily 2017). The promoted products are often new apps or money lending sites. In the beginning, many people appreciated the novel way of advertising, and as the online video industry rose, so did the price of such advertisements. In a timeframe of roughly two years, their price became ten times higher. These type of ‘ad breaks’ have become an important and relatively easy money-making machine for drama productions (Beijing Daily 2017). In 2016 alone, Chinese TV drama productions made 800 million rmb (±116 million USD) through this marketing method – a figure that has been on the rise ever since. 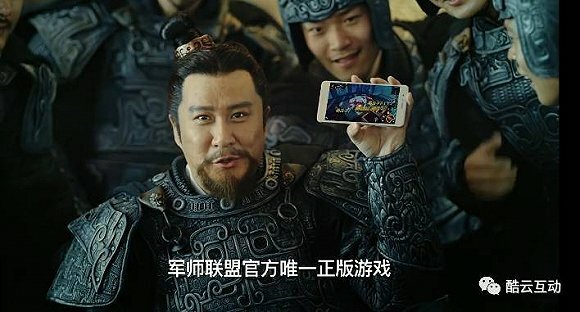 In China’s flourishing online streaming environment, one of the problems with inserted ad campaigns is that even ‘VIP members’ of popular video sites such as iQiyi cannot escape them, nor ‘skip’ them, even though they pay monthly fees to opt out of commercials (similar to YouTube Premium). “The reason I signed up for a VIP membership is to avoid ads, and now we get this,” many annoyed netizens comment on Weibo. Although that is one point that many people are dissatisfied with, the biggest complaint on social media regarding the inserted ad phenomenon is that it breaks down audience engagement in the show they are watching, and alienates them from the character, which is also known as verfremdungseffekt, distancing effect, or simply the ‘V-effect,’ a performing arts concept coined by German playwright Bertolt Brecht in the 1930s. 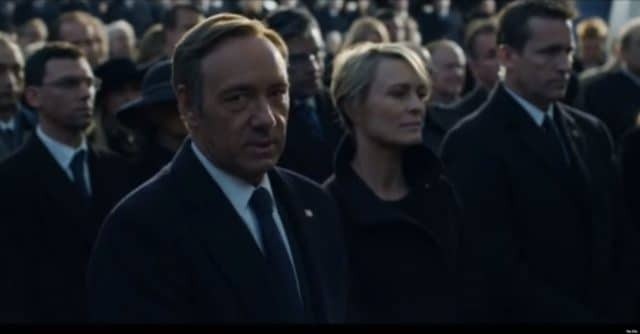 The “direct adress” of Frank Underwood in House of Cards is one of the reasons the show became such a hit. The Brechtian “direct address” technique, one of the characteristics that made the American TV series House of Cards so successful, is employed to “break the fourth wall” – the imaginary wall between the actors and audience – and serves a clear purpose: it makes viewers less emotionally attached to the characters and the narrative, it makes them more conscious and less likely to ‘lose themselves’ in the show they are watching, and is meant to provoke a social-critical audience response. But this is exactly the faux pas China’s ubiquitous ‘creative inserted ads’ make in letting popular TV drama characters promote a new app or soda; it is not meant to provoke a social-critical response, it is meant to advertise a product. But by alienating audiences from the show for a commercial and non-meaningful purpose, they actually reach the opposite effect of what their marketing objective is. Audiences become annoyed, less engaged, and ‘exit the show’ (in Chinese, the term ‘出戏’ [disengage from the performance] is used). “These kind of ads make the entire drama seem so low,” a typical comment on Weibo says. “What can we do? As long as people pay for it, they’ll do it,” others say. Beijing Daily (北京日报). 2017. “创意中插广告泛滥，唯独缺了创意” [The Overflow of Creative Inserted Ads, Only They’re Lacking Creativity] (in Chinese). Beijing Daily, Oct 18. Available online http://bjrb.bjd.com.cn/html/2017-10/18/content_183998.htm [Jan 6th 2019]. Doland, Angela. 2017. 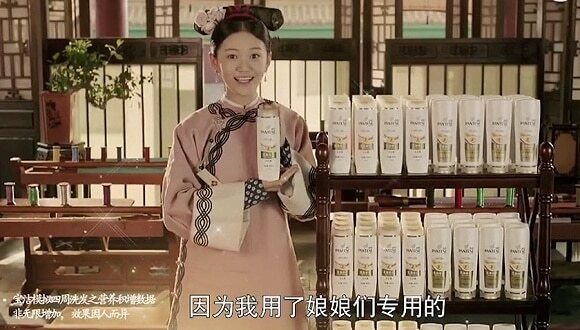 “China’s online TV pushes product placement to crazy levels. Even crazier: Viewers don’t mind.” Ad Age, May 16. Vol.88(10), p.0030. Huan Chen , En-Ying Lin , Fang Liu & Tingting Dai. 2013. “‘See Me or Not, I Am There’: Chinese White-Collar Moviegoers’ Interpretation of Product Placements in Chinese Commercial Movies.” Journal of Promotion Management, 19:5, 507-533. Li, Hongmei. 2016. Advertising and Consumer Culture in China. Cambridge: Polity Press.